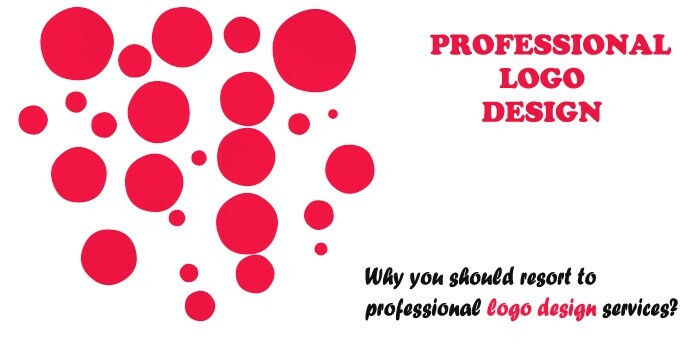 Why You Should Resort to Professional Logo Design Services? When you want an infallible marketing strategy, along with all other aspects pay utmost importance to the brand mark. Your brand has an identity that has to be primarily defined by the logo. It has to inherit the features that can convey the message you want to convey to the target audience. Not only it serves as a great marketing tool, but your business, in the long run, is only recognized by the brand mark. You may aim to advertise your brand through print media like using large banners, leaflet, flyer, and brochure. Other contenders might also use the same tactics and without a unique logo design, you will just lose your brand identification in the cutthroat competition. To have a striking recognition you need to have a unique and innovative logo that can serve as your brand face in any format manifested. It must have a professional look as an amateurish design will not be taught in the corporate arena. The proper balance must be created between the text and image used to describe the brand. Best Custom Logo Design Agency can be consulted, as they are all acquainted with the trade finesse and the prevailing trends that can result in innovative logo design creation. A logo should be created so that it implies the value and virtue of the brand product or services not literally but explicitly. It doesn’t promote the brand directly, but people get interested by the credibility it can yield, helps the viewers to change to potential customers. We can take an example of FedEx. The Intelligent blend of bold and small letter give a vibrant look and the two colors used in it makes it prominent. The gap between the alphabet “E and x” gives forwarding arrow impression. This suggests moving forward, also can mean working at a faster pace. There is a use of negative space. The background is white highlighting the foreground with text. Now, various products will require varied concepts to have a unique representation that can claim views of all the target audience. The selection of colors must evoke the correct emotion as every color has its own meaning and association. The resemblance with any other brand mark will not only spoil the Brand Identity Elements Design reputation will keep the audience confused. An innovative design is not preferred by the audience but also lasts in their mind for long. Hence, motivates them to check out the products and services. Creating this base will encourage them to visit your business website or physically. Then they can become your loyal customer or client. Using a logo designing software can often result is getting an incompetent of used design. And this is so because we don’t have the technical knowledge and the creative head to create the brand emblem exactly to describe the brand. Nevertheless, the elements and the themes are also limited that can lead to a similar logo design, which can’t cut the mustard. So, it’s wise not to opt for DIY logo designing as it’s the corporate face of your business.